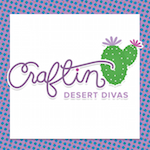 Today is day 4 and the last day of the sneak peeks for the February stamp release at Craftin Desert Divas. We have 5 new stamp sets in this release. Today we are showcasing the Animal Antics stamps. This is the last stamp set in this release. This one is just some fun animal sentiment puns! Here's my projects for you.. Here's my first card I made for today. It's pretty simple, but I think it's sweet. I cut the tag from the SVG outline from my Tag It stamps. 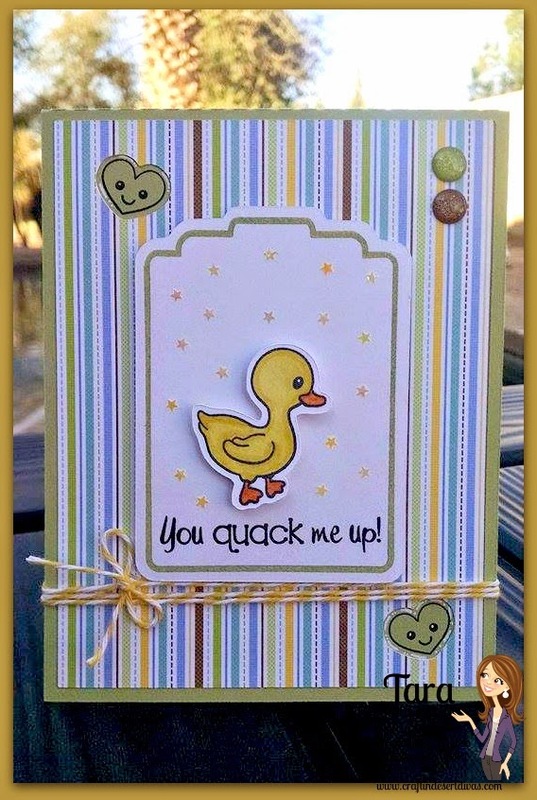 I then added the duck which is from the new Punny Farm stamp set. I did cut the heart shapes out of the Doodlebug paper then I stamped them with the heart face from the Fur-ever Friends stamp set. To finish it up I added some Doodlebug Twine, sprinkles and small heart glitter shapes on the tag. For my second hard I basically did the same thing as my first card but changed up the theme. 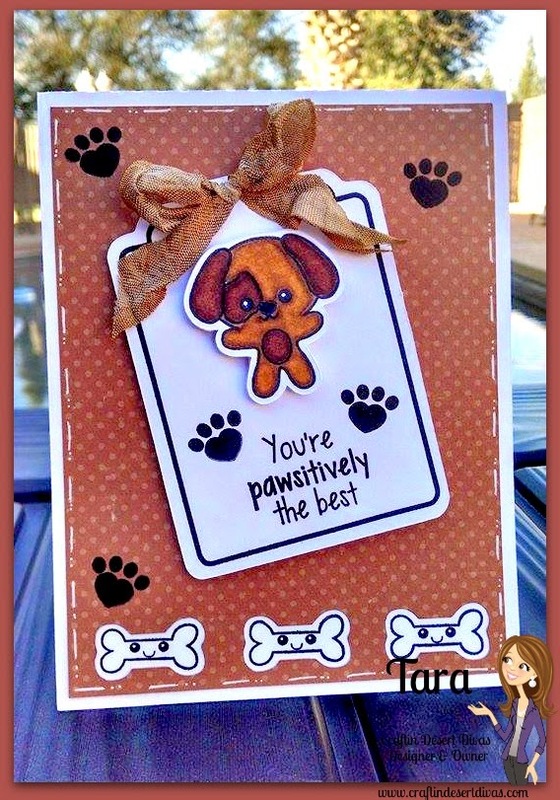 The dog and bones are from the Fur-ever Friends stamp set. Isn't that dog so sweet? I added the sentiment and paw print from the new Animal Antics stamp set. I'm so excited to share the stamps with you all tomorrow!! I love both of the cards Tara. Simple, sweet and elegant. What a great Preview!! Can't wait for tomorrow!! Tara ~ Your cards are sweet!! This release is AWESOME!! Great job on everything. I love this stamp set. Love them both, Tara.!! What a great job! TFS. I love the idea of tags on your cards. So cute. Both cards are great! Simple and clean but adorable! Both cards are so sweet!!! The Punny Farm stamps used on today's projects are great!!! 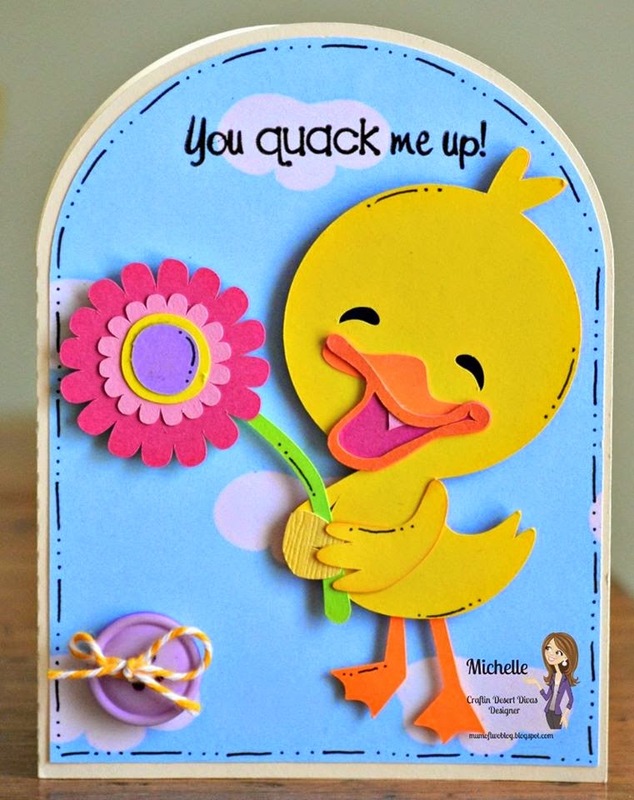 Super cute cards-- love that little duck! Soooo cute! Very cute! Love the puppy and dog bones. OMG!!! These are adorable and I can't wait to see the stamps tomorrow! Very cute!! Why can't we comment on Nanne's? That is gorgeous! Both card are awesome. Lovely! Really cute. I especially like the little puppy with his bones. love your cards the puppy is so so so cute ! Love these !!!! 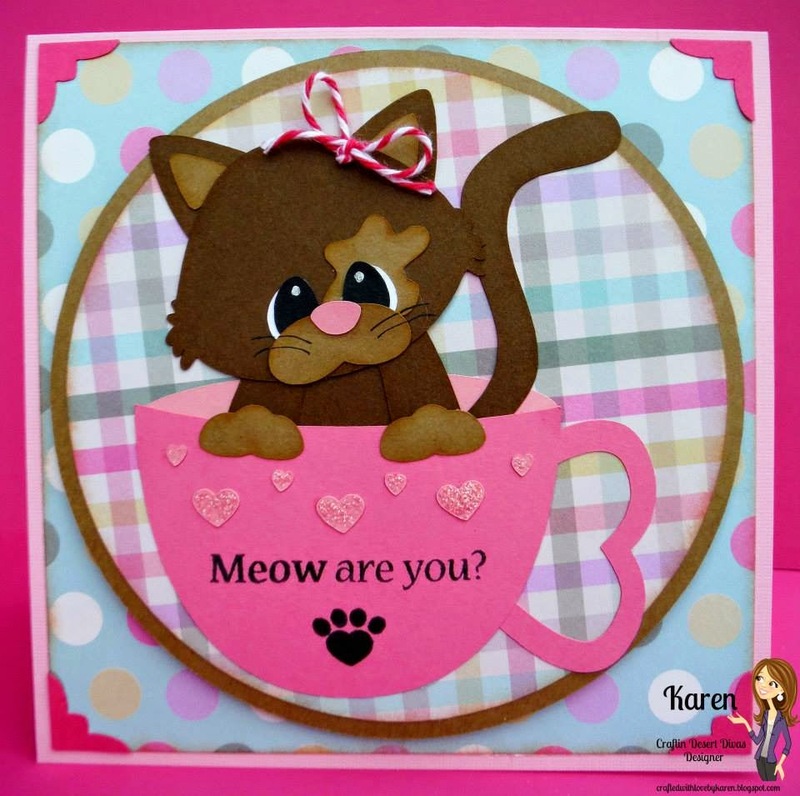 You always create such super cute cards !!! These cards are both adorable! Love the sentiments with the cards too. 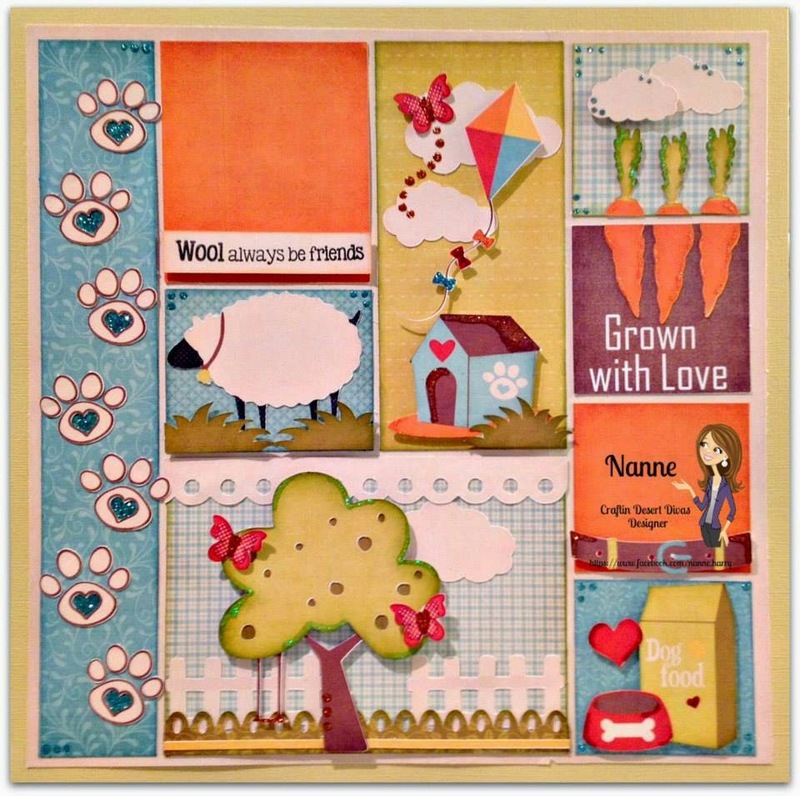 Loving this blog hop. Super awesome day 4 sneak peeks! Cant wait for the hop! oth your cards are adorable! I love the day 4 projects, you ladies are awesome. My, my that duck is so cute, Tara! The doggy is too, but...that little quack quack stole my heart when I saw it this morning! Such fun projects this week. I've been peeking along from Instagram and on FB too. So happy I was able to stop in and take a close up view. 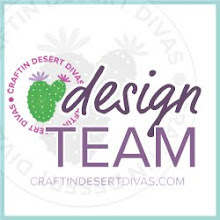 Your design team does a fantastic time over and over again! Wow! I am in love with the punny sentiments. Your cards today are sweet and simply perfect. The design team did a marvelous job as well! Thank you for sharing! Can't wait to see the stamps tomorrow! So adorable! Love that puppy! Another great sneak peek day Love your cards simply-perfect!! Adorable cards they both could be used for multiple occasions!! 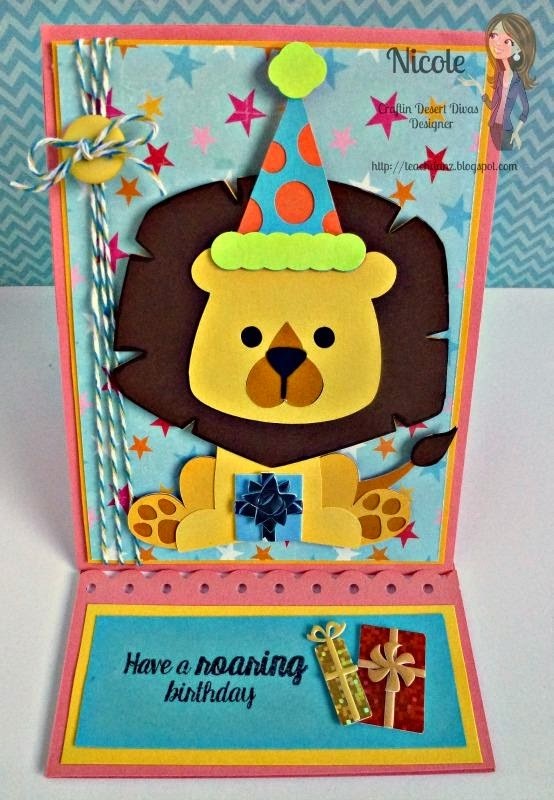 Such sweet cards, The lion reminds me of a stuffed animal I had when I was a kid, super cute. Another day of wonderful projects. Thank you ladies. Awesome job DT!! Love your cards Tara!! That cute little puppy!! Love it! So very cute!!! Another great day of projects!!! OMGoodness, these critters are too darling! What fabulous projects!! So many fabulous projects. Love your doggie and duckie. They are both adorable. Both of these cards are so cute, I really love the duck one!